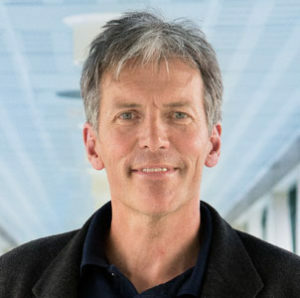 Per Levén is an assistant professor at the center and at the department of Informatics at Umeå University, Sweden. His research interests include innovation management, digital innovation, and open innovation methods for university-industry collaboration. As a process manager of ProcessIT Innovations Levén is responsible for the follow-up research and innovation strategies of ProcessIT, which has strongly influenced his larger research program. In that he has examined environments supportive to highly innovative firms and how innovation networks can be orchestrated in order to support partner organizations in their innovation processes. He is currently investigating how entrepreneurial firms can best utilize innovation options and knowledge located outside their own organization. His work on these topics cuts across the fields of Information Systems Studies, Organization Studies, Innovation management Studies, and Science and Technology Studies and relates to journals such as Communications of the AIS, European Journal of Information Systems, Industrial Management and Data Systems, Information and Organization, Information Resources Management Journal, Information Systems Journal, Information Technology and People, International Journal of Systems Assurance Engineering and Management, Journal of Information Technology Management, Journal of the AIS, Journal of Global Information Technology Management, and Scandinavian Journal of Information Systems. Levén, P., Holmström, J. and Mathiassen, L (2014). Managing research and innovation networks: Evidence from a government sponsored cross-industry program. Research Policy, Vol. 43, Issue 1, pp. 156-168.